Glimmering princess cut diamond solitaire, with 4 pointed claws aligned north east south west, featuring plain knife edged shoulders. ﻿Leona captures the true beauty of the Princess cut Diamond, within this striking compass set solitaire Engagement Ring design. With its compass setting and pure simple details, this would be a great addition to any jewellery wardrobe. We can create this ring for you in 18ct White Gold, 18ct Yellow Gold, Platinum, Palladium or even 100% ethically sourced Fairtrade Gold. Please allow 3-4 weeks for us to create this ring and securely deliver this to your door. 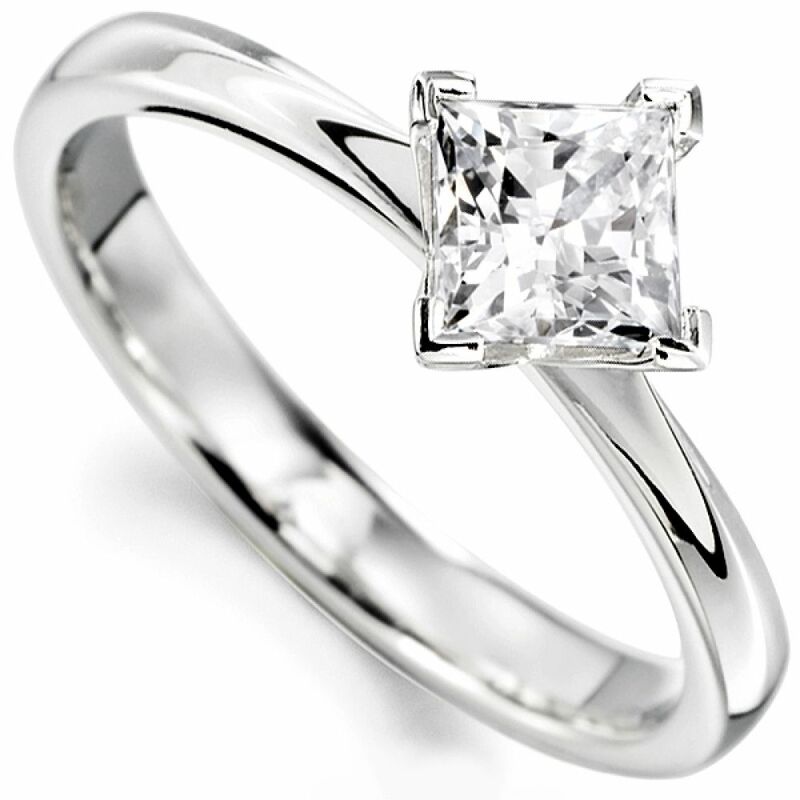 We offer the added reassurance of a 60 day returns policy and a free ring size adjustment if needed. ﻿This exceptional ring design features your chosen Princess cut Diamond, securely set within four box-claws above tapering knife edged shoulders. Each ring benefits from a comfort fit with a substantial 2.5mm wide band. Please allow 3-4 weeks for your commission to be completed. We have many options for matching wedding rings. 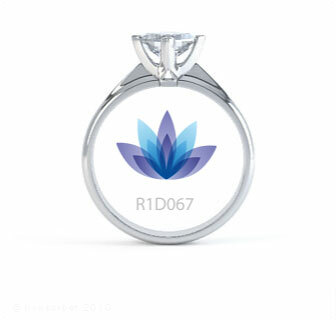 Choose from a plain, patterned or diamond set design. The commission photographed features channel set diamonds within a complimentary court profile wedding ring design. We can set your wedding ring either partially or fully with perfectly matched, diamonds to complete the look.